Dedicated hosting, what is dedicated hosting? Dedicated hosting is when your website uses the resources and capabilities of an entire server. In other words – not shared with anyone else. Having a whole web server devoted to you and your websites means your sites will always have enough memory and bandwidth to handle any amount of traffic your site gets. It also means much power available to your site, more reliable, more secure and faster loading pages, which means higher ranking on search engines for those targeted keywords on your landing pages – More visitors. When you create a website it has to live some where and if you want it to be live on the internet you need to store your files on web servers. When some one clicks your URL they will see those files stored on the server in the form of web pages. What is shared hosting? Shared hosting is web hosting on a single web server. Multiple websites are all hosted on this single server, each having its own internet domain name. Shared hosting will be cheaper but not good for a website that gets a lot of visitors and high traffic. Remember cheaper is not always best when it comes to hosting. What is VPS hosting? VPS hosting or virtual private server is a virtual machine sold as a service by an internet hosting service. Customers that use VPS hosting have superuser-level access to that operating system instance. They can install almost any software that runs on that operating system. What is managed hosting? Managed web hosting is when the web host takes care of the operation of the server so that you don’t have to. It used to be that managed web hosting was a term specifically applied to dedicated hosting. 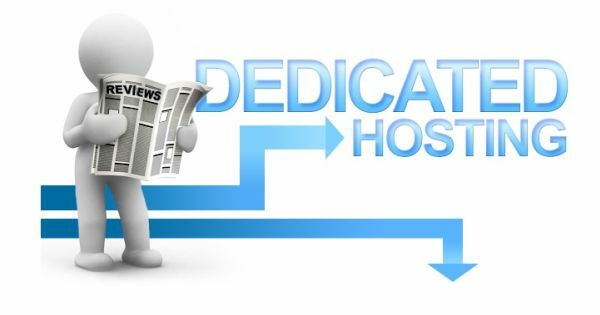 What is Dedicated hosting? A dedicated hosting service, dedicated server, or managed hosting service is a type of internet hosting in which the client leases an entire server not shared with anyone else. When you start to make a website hosting may not seem important. But as your site grows and gets more visitors you should consider switching to a dedicated hosting plan. You have built a website and your online business is started to grow. More and more visitors visit your site and you are looking for better performance. The hosting plan you currently use cannot handle your busy site. The more visitors your site gets you notice the slower the pages load on your computer. You don’t want to loose impatient visitors that won’t wait for pages to load. This could loose you business. Now is the time to switch to a dedicated web hosting plan. Website bandwidth – When you used shared hosting there is a website bandwidth limit for each user. As long as it is a static website, and there is not much database content, the current plan will not have much of an impact on the website speed even if traffic increases. If you have designed your site to have a lot of flash, multimedia, images etc, your website performance starts getting affected, reducing your website speed. Your site would not be able to handle too many requests at a time, and give you lots of error messages. Using a dedicated web hosting plan, this issue is taken care of. Complete server access would mean no website bandwidth limit being exceeding. Is your existing web hosting letting your online business down? Do you want to give your site a boost? Having dedicated hosting lets you design the server and use the resources like memory and operating systems as per your business requirements. What Are the Benefits of Dedicated Server Hosting? Dedicated hosting is reliable. Using shared hosting if other websites that use the same shared hosting as you get busy then all the websites using the shared hosting run the risk of not having access to the bandwidth or memory they need to run probably and crash. What about VPS hosting you ask. Your site can still crash because it doesn’t necessarily have access to all the resources it needs to stay online, especially when it’s bombarded with traffic. You put a lot of work into your website. Hosting is important and if you use dedicated hosting from a good hosting company you get an entire server all to yourself. You site will have all the resources it needs to handle traffic and media and knowing you have the best you will have no hosting problems. Get dedicated resources and flexibility without the expense with GreenGeeks – Save $30 when you sign up, use voucher code create30 and save.